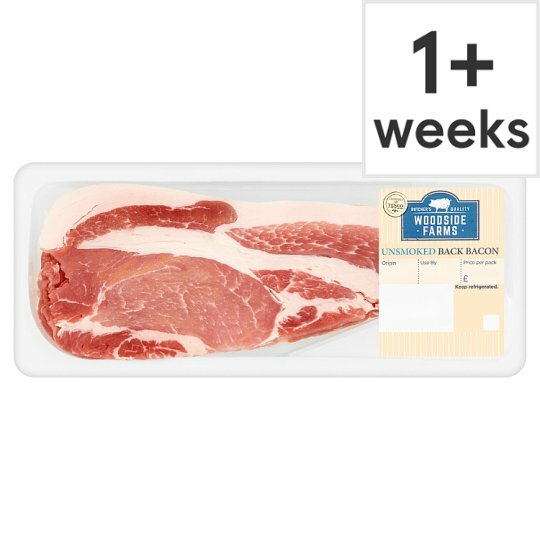 Unsmoked rindless back bacon rashers with added water. Keep refrigerated. Once opened, consume within 3 days and by ‘use by’ date shown. Instructions: Heat 1 tsp of oil in a frying pan. Add the bacon and cook over a medium heat, turning occasionally.